Good Morning everyone! How ways your weekend? Did you find any time to create? I did a little bit and it was FUN! My son came up with my grand-dogs, Clyde and Chester...they're the cutest English Bulldogs....I JUST LOVE THEM! I have a class Wednesday night that I have to get ready for today, but I want to share this weeks "Make-It Monday" (and I'm gonna make Aebleskiver's for my kiddos...they are yummy filled pancake balls). All images © 1990-2017 Stampin’ Up!® Stamp set found on page 90 of the new 2017-18 Stampin' Up! catalog. 1. 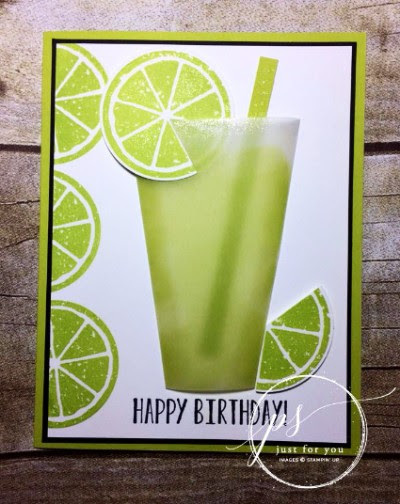 Create card front from Lemon Lime Twist CS by scoring at 4 ¼”. 2. Stamp “Happy Birthday” in memento black ink on the bottom of the Whisper White piece. Stamp lemon slice 3 times in Lemon Lime Twist on the left side (make sure you only do halves, otherwise it will be visible through the glass). Adhere White piece to Basic Black CS and then to card base. Set aside. Green indicates score lines. Apply Tear & Tape between the scored line and edge. Fold on a scored line. Sponge the ‘glass’ with sponge dauber and Lemon Lime Twist ink on inside, leave some white space on top. 4. Remove Tear & Tape and adhere glass to the card front from step 2. Try to make the shape a little rounded. 5. 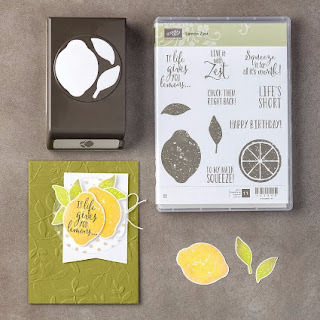 Stamp 2 more slices on scrap piece of Whisper White in Lemon Lime Twist ink. Punch them with 1 ¾” punch. Cut a slit from a side to the center on first piece of lime. Add Dimensionals to the back and decorate the glass with it. Cut 3 pieces from second lime. 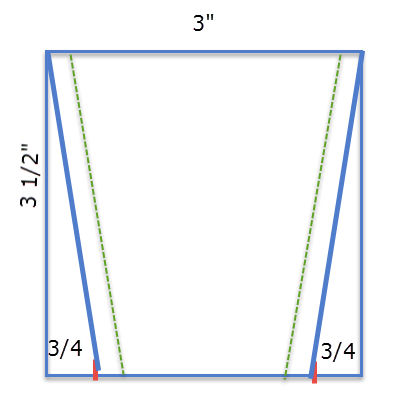 Add Dimensionals and add to the bottom of the glass on the right side. 6. Adhere ‘straw’ inside the glass. Now...isn't that a SUPER CUTE and FUN card?!?! I LOVE it! I also LOVE that you took the time to stop by my blog this morning! THANKS BUNCHES for allowing me to share what I love to do!!! 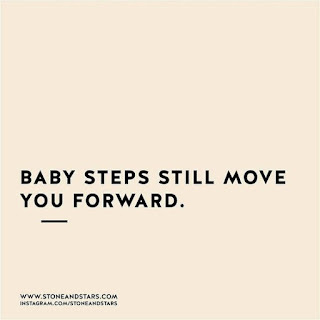 Have a WONDERFUL day and a TERRIFIC week!